Append input to a std::vector<byte> object. 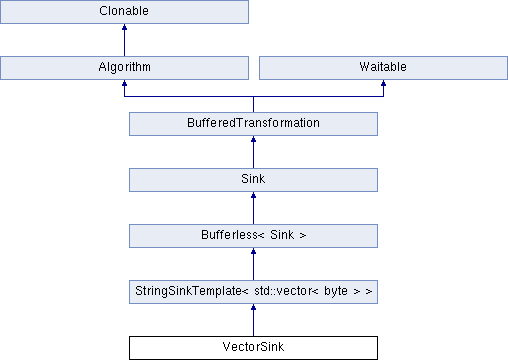 VectorSink is a typedef for StringSinkTemplate<std::vector<byte> >. Definition at line 1103 of file filters.h.